I love window clings! We've got patio windows so they are perfect for us to stick window clings to, T absolutely loves them, so when I told him we'd try and make our own, he was so excited! With Halloween on the horizon, what better clings to make than ghosts! We even tried some glow in the dark clings too. 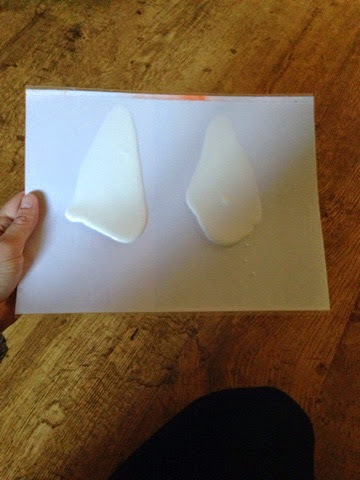 We started off with children's standard pva glue and on a laminated sheet poured a splodge of glue on, we then slightly tipped the paper to make the glue run. 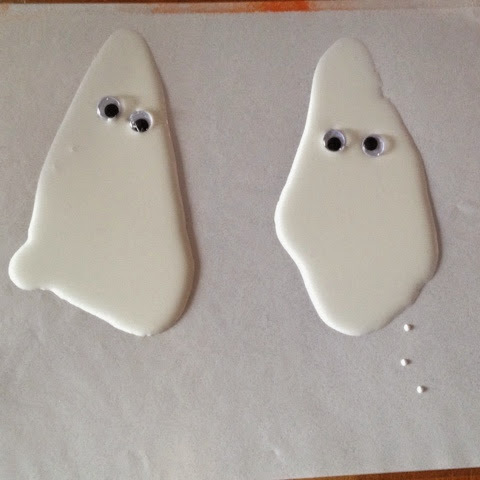 A couple of googly eyes and our ghosts were taking shape! I really wanted to try making some glow in the dark window clings so we mixed together some glue and glow in the dark paint. We use this one from ELC. We gave it a good mix and then poured it onto another laminated sheet - this time we used one of our playdough mats. We also tried to make some clings using cookie cutters. When mixed with the paint the glue was a little thicker and so I was able to make a more distinguishable ghost shape. After 48 hours our clings were dry and ready to stick on the windows. 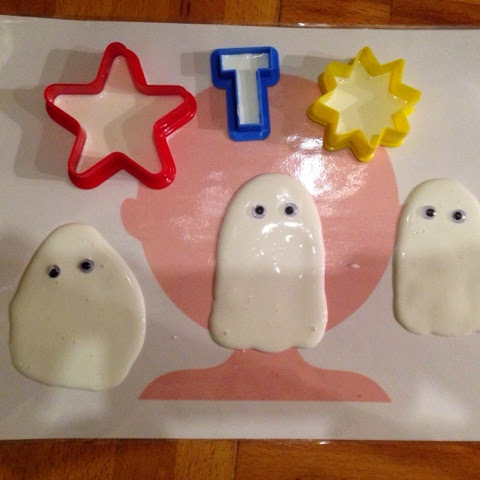 The cookie cutter ones didn't turn out too well but I think T loves the ghosts more than his other window clings because he helped to make them! 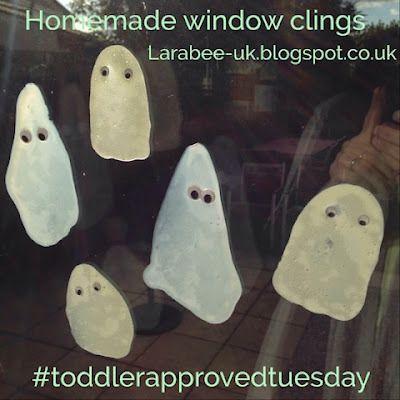 This is my entry for this weeks #ToddlerApprovedTuesday please do pop over and link in with your toddler activities, food, reviews anything goes as long as it's approved by your toddler or pre-schooler! Oh I hope you do, they are great fun!